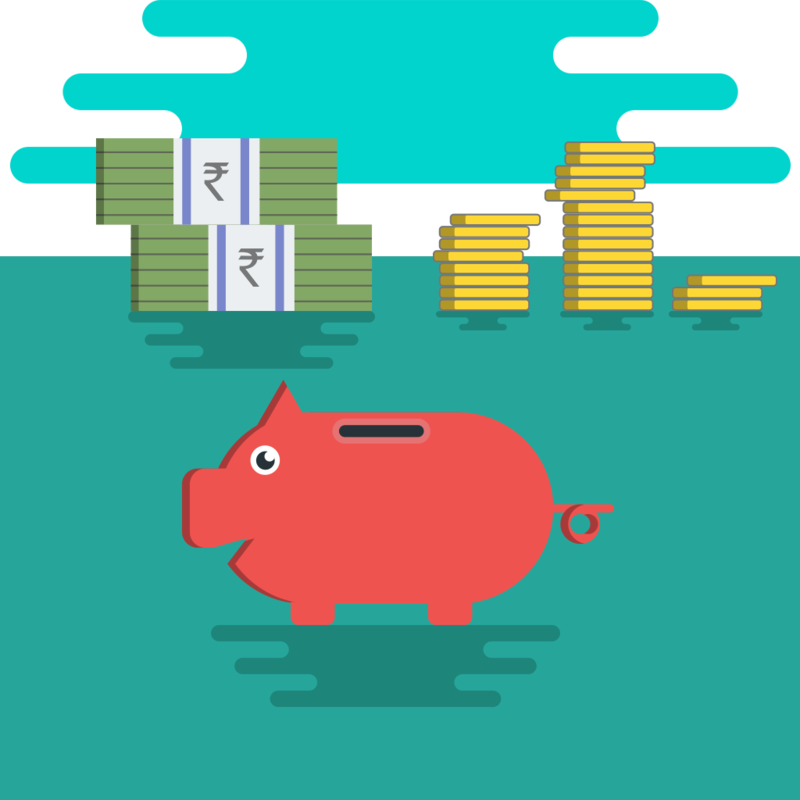 Pigmy Ops Android application automates the Small-savings collection process followed by Co-operative banks and NBFCs. These institutions use Pigmy agents for the collection process which suffers from human errors and manual steps. 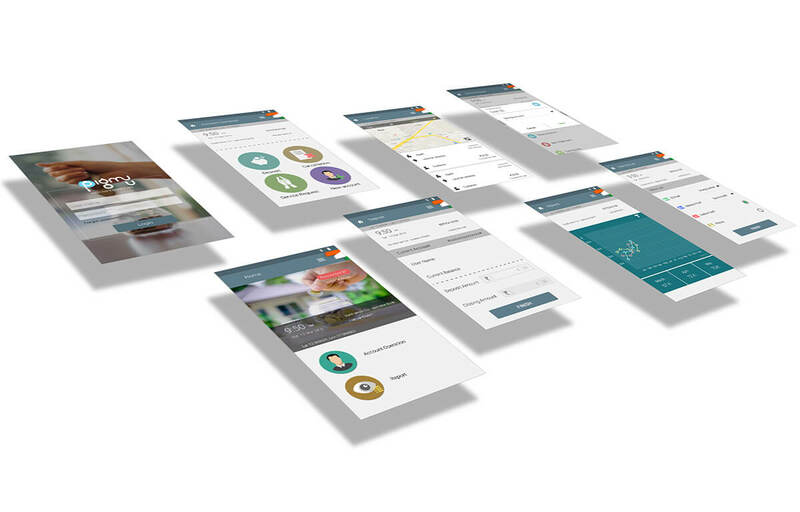 Pigmy Ops is a cloud based platform that automates the collection process, minimizes the risk of fraud, enables automated reporting to bank and agent about the collection and provides relevant communication to the customer. 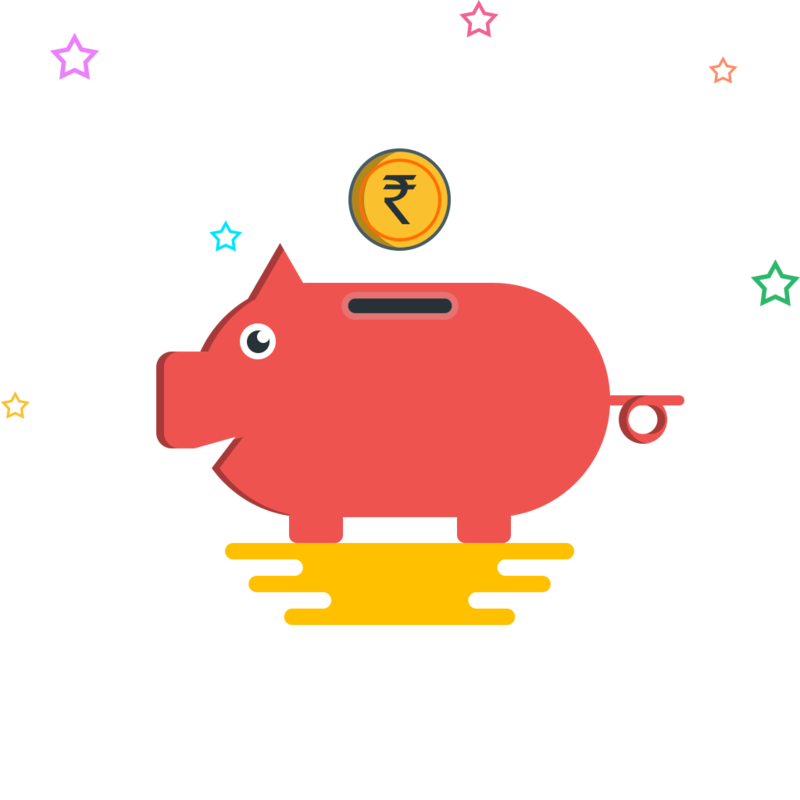 Pigmy Ops App helps in automation of the small savings collection and management process for Co-operative banks. 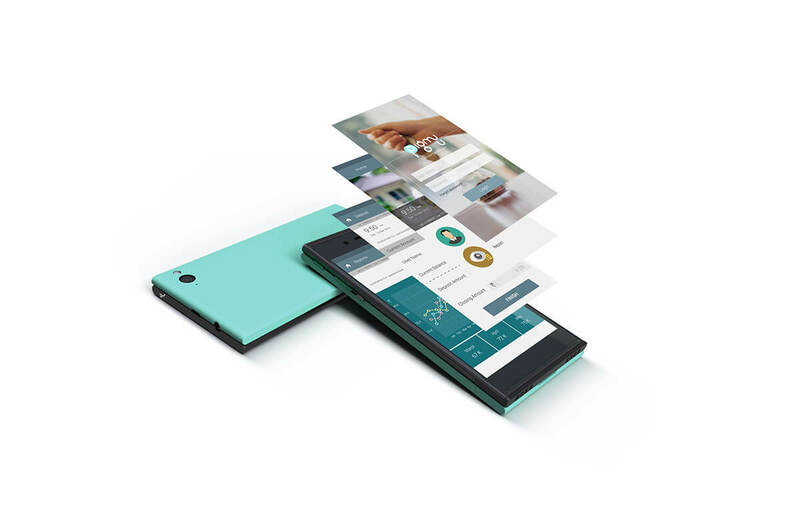 The App enables the Pigmy collection agent to access user accounts online, collect savings, update balances and prints the transaction receipt real-time. Cloud back-end stores all the relevant transactions and provides easy integration with the Core Banking software of the Co-operative banks. 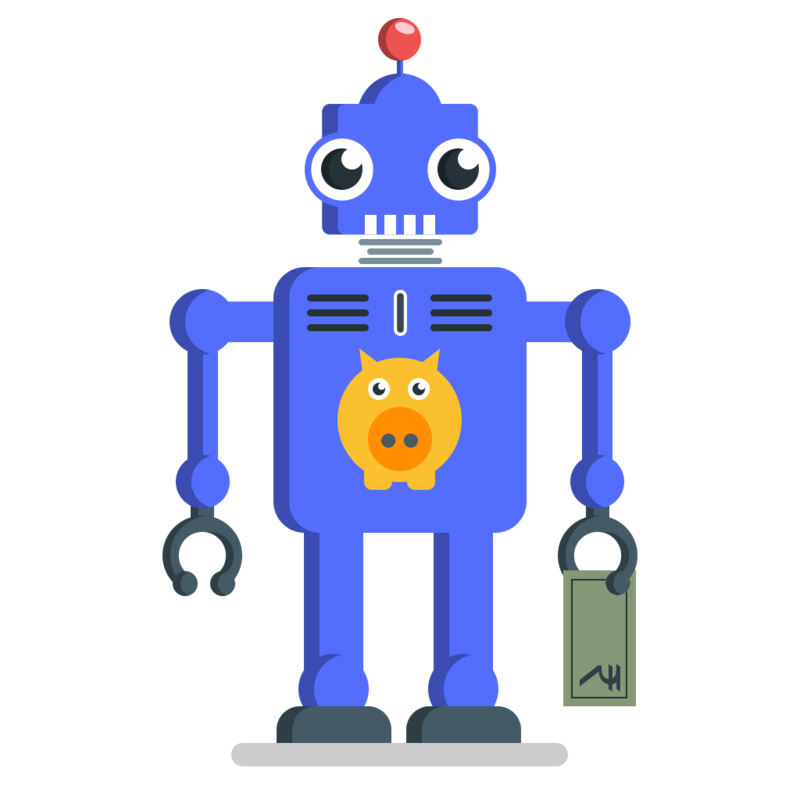 Pigmy Ops App is fungible for other small savings collection automation like in the Micro Banking and Micro Finance space. Banking correspondents visit the micro-finance borrowers and self-help groups on a regular basis to collect installments on the borrowed funds. Such operations can also be automated using the Pigmy Ops App. 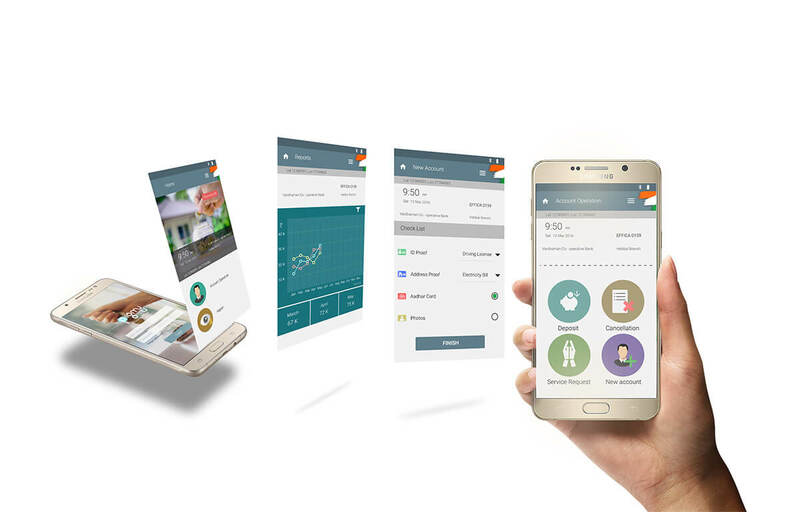 Chit fund collection processes can also be automated using the Pigmy Ops App. Chit fund collection agents will visit various customers and chit participants and collect appropriate amounts from them. 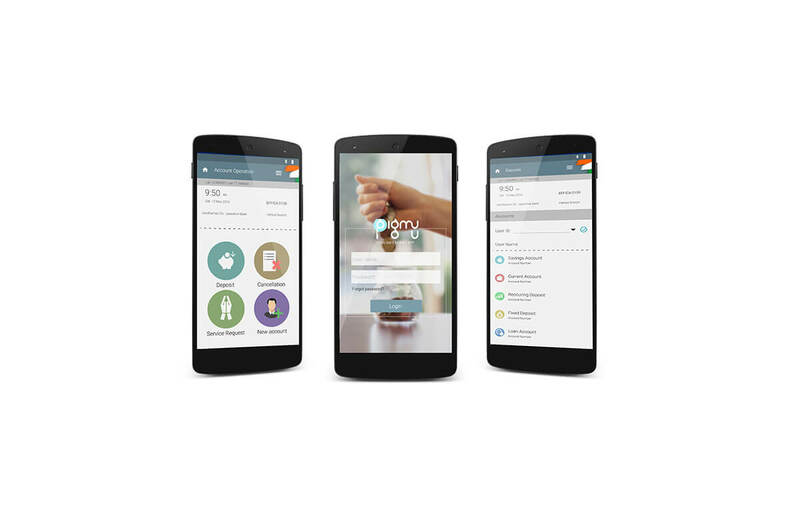 This collection, processing and reporting mechanisms can be automated through the App. This Web Site, including all Materials present (excluding any applicable third party materials), is the property of Sohamsaa and is copyrighted and protected by worldwide copyright laws and treaty provisions. You hereby agree to comply with all copyright laws worldwide in Your use of this Web Site and to prevent any unauthorized copying of the Materials. Sohamsaa does not grant any express or implied rights under any patents, trademarks, copyrights or trade secret information. Sohamsaa has business relationships with multiple customers, suppliers, governments, and others. For convenience and simplicity, words like joint venture, partnership, and partner are used to indicate business relationships involving common activities and interests, and those words may not indicate precise legal relationships. This is to inform and clarify that individuals (including but not limited to employees of Sohamsaa and referred to as "Individuals" hereafter) may contribute articles and opinions on this Web Site entirely at the sole discretion of Sohamsaa, in the form of "blogs", as such term is generally understood. You hereby acknowledge and agree that these blogs constitute the opinion of the Individuals in their personal capacity, and may not represent official positions of Sohamsaa in any manner. Sohamsaa retains all copyright to these blogs. You shall not defame, abuse, harass or threaten Sohamsaa or any third party, or otherwise violate the legal rights of Sohamsaa or any third party. You shall not contribute any content or take any action that may in any manner adversely affect the reputation of Sohamsaa, or that is otherwise detrimental to Sohamsaa. You shall not in any manner publish or post any inappropriate, defamatory, infringing, obscene, racist, terrorist, politically slanted, indecent or unlawful topic, name, material or information. You shall not use profane and objectionable language or abbreviations. You shall not use any character(s) as a substitute for objectionable language. You shall not in any manner reveal confidential or proprietary information of any third party. Specifically, You shall not post any material for which You do not have requisite and applicable right(s) under law. You shall not conduct any contests or publish or propagate any forwards. You shall not defame, abuse, harass, stalk, threaten or otherwise violate the legal rights (such as rights of privacy and publicity but not limited to the foregoing) of any other party including Sohamsaa. You shall not publish, post, upload, distribute or disseminate any inappropriate, profane, defamatory, obscene, indecent or unlawful topic, name, material or information. You shall not upload or otherwise make available, files that contain images, photographs, software or other material protected by intellectual property laws, including, by way of example, and not as limitation, copyright or trademark laws (or by rights of privacy or publicity) unless You own or control the rights thereto or have received all necessary consent to do the same. You shall not upload files that contain viruses, trojan horses, worms, time bombs, cancelbots, corrupted files, or any other similar software or programs that may damage the operation of another's computer or property of another. You shall not advertise or offer to sell or buy any goods or services for any business purpose. You shall not download any file posted that You know, or reasonably should know, cannot be legally reproduced, displayed, performed, and/or distributed in such manner. You shall not falsify or delete any copyright management information, such as author attributions, legal or other proper notices or proprietary designations or labels of the origin or source of software or other material contained in a file that is uploaded. You shall not create a false identity for the purpose of misleading others. You shall not in any way deface or vandalize this Web Site, or prevent or restrict others from using this Web Site. You acknowledge that Sohamsaa may, at its sole discretion, monitor, remove or edit any content that You contribute. Sohamsaa may also pursue remedies available to it under law for any violation of these terms and conditions. The Web Site makes information of third parties available, including articles, analyst reports, news reports, tools to facilitate calculation, company information and data about financial markets, including any regulatory authority and other financial markets and other data from external sources (the "Third Party Content"). You acknowledge and agree that the Third Party Content is not created or endorsed by Sohamsaa. The provision of Third Party Content is for general informational purposes only and does not constitute a recommendation or solicitation to purchase or sell any securities or shares or to make any other type of investment or investment decision. In addition, the Third Party Content is not intended to provide tax, legal or investment advice. You acknowledge that the Third Party Content provided to You is obtained from sources believed to be reliable, but that no guarantees are made by Sohamsaa or the providers of the Third Party Content as to its accuracy, completeness, timeliness. You agree not to hold Sohamsaa, any business offering products or services through the Web Site or any provider of Third Party Content liable for any investment decision or other transaction You may make based on Your reliance on or use of such data, or any liability that may arise due to delays or interruptions in the delivery of the Third Party Content for any reason. By using any Third Party Content, You may leave this Web Site and be directed to an external website, or to a website maintained by an entity other than Sohamsaa. If You decide to visit any such site, You do so at Your own risk and it is Your responsibility to take all protective measures to guard against viruses or any other destructive elements. Sohamsaa makes no warranty or representation regarding, and does not endorse, any linked web sites or the information appearing thereon or any of the products or services described thereon. Links do not imply that Sohamsaa or this Web Site sponsors, endorses, is affiliated or associated with, or is legally authorized to use any trademark, trade name, logo or copyright symbol displayed in or accessible through the links, or that any linked site is authorized to use any trademark, trade name, logo or copyright symbol of Sohamsaa or any of its affiliates or subsidiaries. You hereby expressly acknowledge and agree that the linked sites are not under the control of Sohamsaa and Sohamsaa is not responsible for the contents of any linked site or any link contained in a linked site, or any changes or updates to such sites. Sohamsaa is not responsible for webcasting or any other form of transmission received from any linked site. Sohamsaa is providing these links to You only as a convenience, and the inclusion of any link shall not be construed to imply endorsement by Sohamsaa in any manner of the website. THIS WEB SITE, THE INFORMATION AND MATERIALS ON THE SITE, AND ANY SOFTWARE MADE AVAILABLE ON THE WEB SITE, ARE PROVIDED "AS IS" WITHOUT ANY REPRESENTATION OR WARRANTY, EXPRESS OR IMPLIED, OF ANY KIND, INCLUDING, BUT NOT LIMITED TO, WARRANTIES OF MERCHANTABILITY, NON INFRINGEMENT, OR FITNESS FOR ANY PARTICULAR PURPOSE. THERE IS NO WARRANTY OF ANY KIND, EXPRESS OR IMPLIED, REGARDING THIRD PARTY CONTENT. INSPITE OF SOHAMSAA'S BEST ENDEAVOURS, THERE IS NO WARRANTY ON BEHALF OF SOHAMSAA THAT THIS WEB SITE WILL BE FREE OF ANY COMPUTER VIRUSES. SOME JURISDICTIONS DO NOT ALLOW FOR THE EXCLUSION OF IMPLIED WARRANTIES, SO THE ABOVE EXCLUSIONS MAY NOT APPLY TO YOU. IN NO EVENT SHALL SOHAMSAA OR ANY OF ITS SUBSIDIARIES OR AFFILIATES BE LIABLE TO ANY ENTITY FOR ANY DIRECT, INDIRECT, SPECIAL, CONSEQUENTIAL OR OTHER DAMAGES (INCLUDING, WITHOUT LIMITATION, ANY LOST PROFITS, BUSINESS INTERRUPTION, LOSS OF INFORMATION OR PROGRAMS OR OTHER DATA ON YOUR INFORMATION HANDLING SYSTEM) THAT ARE RELATED TO THE USE OF, OR THE INABILITY TO USE, THE CONTENT, MATERIALS, AND FUNCTIONS OF THIS WEB SITE OR ANY LINKED WEB SITE, EVEN IF SOHAMSAA IS EXPRESSLY ADVISED OF THE POSSIBILITY OF SUCH DAMAGES. THE WEB SITE MAY CONTAIN INACCURACIES AND TYPOGRAPHICAL AND CLERICAL ERRORS. SOHAMSAA EXPRESSLY DISCLAIMS ANY OBLIGATION(S) TO UPDATE THIS WEBSITE OR ANY OF THE MATERIALS ON THIS WEBSITE. SOHAMSAA DOES NOT WARRANT THE ACCURACY OR COMPLETENESS OF THE MATERIALS OR THE RELIABILITY OF ANY ADVICE, OPINION, STATEMENT OR OTHER INFORMATION DISPLAYED OR DISTRIBUTED THROUGH THE WEB SITE. YOU ACKNOWLEDGE THAT ANY RELIANCE ON ANY SUCH OPINION, ADVICE, STATEMENT, MEMORANDUM, OR INFORMATION SHALL BE AT YOUR SOLE RISK. SOHAMSAA RESERVES THE RIGHT, IN ITS SOLE DISCRETION, TO CORRECT ANY ERRORS OR OMISSIONS IN ANY PORTION OF THE WEB SITE. SOHAMSAA MAY MAKE ANY OTHER CHANGES TO THE WEB SITE, THE MATERIALS AND THE PRODUCTS, PROGRAMS, SERVICES OR PRICES (IF ANY) DESCRIBED IN THE WEB SITE AT ANY TIME WITHOUT NOTICE. THIS WEB SITE IS FOR INFORMATIONAL PURPOSES ONLY AND SHOULD NOT BE CONSTRUED AS TECHNICAL ADVICE OF ANY MANNER. Sohamsaa does not claim ownership of the materials You provide to Sohamsaa (including feedback and suggestions) or post, upload, input or submit to any section of the Web Site, (each a "Submission" and collectively "Submissions"). However, by posting, uploading, inputting, providing or submitting ("Posting") Your Submission You are granting Sohamsaa, its affiliated companies and necessary sub-licensees permission to use Your Submission in connection with the operation of their Internet businesses (including, without limitation, all services offered by Sohamsaa), including, without limitation, the license rights to: copy, distribute, transmit, publicly display, publicly perform, reproduce, edit, translate and reformat Your Submission; to publish Your name in connection with Your Submission; and the right to sublicense such rights to any other party. You hereby acknowledge and agree that no compensation shall be paid or no future commercial consideration has accrued with respect to the use of Your Submission by Sohamsaa, as provided herein. Sohamsaa shall be under no obligation to post or use any Submission You may provide and Sohamsaa shall remove any Submission at any time at its own sole discretion. This Site is controlled, operated and administered by Sohamsaa from its offices within India. Sohamsaa makes no representation that Materials on this Web Site are appropriate or available for use at any other location(s) outside India. Any access to this Web Site from territories where their contents are illegal is prohibited. You may not use the Web Site or export the Materials in violation of any applicable export laws and regulations. If You access this Web Site from a location outside India, You are responsible for compliance with all local laws. Sohamsaa Systems Pvt Ltd has created this privacy statement in order to demonstrate our firm's commitment to privacy. The following discloses our information gathering and dissemination practices for Sohamsaa, Assemble Yourselves, Do It Yourself Tablet, Tab Yourself, and Make Your Tab. We use your IP address to help diagnose problems with our server and/or to administer our Web site. This gives us an idea of which parts of our site users are visiting. We do not link IP addresses to anything personally identifiable. This means that a users' session will be tracked, but the user will be anonymous. Our site's registration form requires you to give us contact information like your name and email address. We use this contact information from the registration form to send you information about our company. Users may opt-out of receiving future mailings by choosing the unsubscribe option in the registration form. This site contains links to other sites. Sohamsaa Systems Pvt Ltd is not responsible for the privacy practices or the content of such Web sites. This site has security measures in place to protect the loss, misuse, and/or alteration of information under our control. The data resides behind a firewall, with access restricted to authorized Sohamsaa personnel. If you have any questions about this privacy statement, the practices of this site, or your dealings with this Web site, you can contact us. Certain statements in this release concerning our future growth prospects are forward-looking statements, which involve a number of risks and uncertainties that could cause actual results to differ materially from those in such forward-looking statements. The risks and uncertainties relating to these statements include, but are not limited to, risks and uncertainties regarding fluctuations in earnings, fluctuations in foreign exchange rates, our ability to manage growth, intense competition in Product Development and IT services including those factors which may affect our cost advantage, wage increases in India, our ability to attract and retain highly skilled professionals, time and cost overruns on fixed-price, fixed-time frame contracts, client concentration, restrictions on immigration, industry segment concentration, our ability to manage our international operations, reduced demand for technology in our key focus areas, disruptions in telecommunication networks or system failures, our ability to successfully complete and integrate potential acquisitions, liability for damages on our service contracts, the success of the companies in which Sohamsaa has made strategic investments, withdrawal or expiration of governmental fiscal incentives, political instability and regional conflicts, legal restrictions on raising capital or acquiring companies outside India, and unauthorized use of our intellectual property and general economic conditions affecting our industry. The company does not undertake to update any forward-looking statements that may be made from time to time by or on behalf of the company. This list includes updates as of March 31, 2012. The trademarks above are hereinafter collectively mentioned as Sohamsaa trademarks. The absence of a product or service name or logo from the list above does not constitute a waiver of Sohamsaa' trademark or other intellectual property rights concerning that name or logo. By using aSohamsaa trademark, in whole or in part, you are acknowledging that Sohamsaa is the sole owner of the trademark. You acknowledge that you will not interfere with Sohamsaa' rights in the trademark in any manner whatsoever. The goodwill derived from using any of the Sohamsaa trademark exclusively inures to the benefit of and belongs to Sohamsaa. Except for the limited right to use as expressly permitted under these Guidelines, no other rights of any kind are granted hereunder, by implication or otherwise. Sohamsaa' trademarks, service marks, trade names, and trade dress are valuable proprietary assets. Please follow the guidelines listed below to help us protect our trademark rights and strengthen our brand identity. You shall not use any Sohamsaa trademark in any manner other than that stated below. Please use the appropriate ™, SM, or ® symbol in respect of each trademark on first use in any publication in India. For publications that will be distributed outside India, do not include trademark symbols but use the appropriate trademark attribution notice, for example: Sohamsaa and Assembleyourselves.com are trademarks of Sohamsaa Limited, registered in India and other countries. Always spell and capitalize Sohamsaa' trademarks exactly as they are shown in the list above. Do not shorten or abbreviate the trademarks. Do not make up names that contain Sohamsaa trademarks. Please do not use a variation, phonetic equivalent, foreign language equivalent, takeoff, or abbreviation of any Sohamsaa trademarks for any purpose. Please do not use any Sohamsaa trademark in connection with web sites, products, packaging, manuals, promotional/advertising materials, or for any other purpose except pursuant to an express written trademark license from Sohamsaa. Please do not use any Sohamsaa trademark in a manner that would imply Sohamsaa' affiliation with or endorsement, sponsorship, or support of a third party product or service. Please do not manufacture, sell or give-away merchandise items, such as T-shirts and mugs, bearing any Sohamsaa trademark including symbols, logos, or icons, except pursuant to an express written trademark license from Sohamsaa. Please do not imitate the distinctive Sohamsaa web site design, logos, or typefaces. Please do not use an identical or virtually identical Sohamsaa trademark as a second level domain name.